First of all, I’d just like to apologize for my absence on here in the last week. With the Giants in the Super Bowl and their subsequent victory, I’ve spent most of my time involved in the coverage (and celebration) of that. The Super Bowl never looks like any other football game. Although the game is always played at a stadium used throughout the NFL season, like Lucas Oil Stadium this season, the setting does not resemble that of an ordinary game. The middle of the field now features the NFL shield with the plain Super Bowl logos on the 25-yard line. Perhaps the biggest difference from the regular season is the huge crowds on the sidelines. From the photographers, to friends and family, to the lucky people that get a spot on the sideline who have nothing to do with either team. The sideline on the Super Bowl is insanity. Sports Illustrated spliced together photos of Lucas Oil Stadium this Sunday to create this very cool pan shot. Have fun with that, I did for about a half hour. Here is another installment from Alex. As we count down the Super Bowl XLVI, we’ll talk a bit about the biggest game in America. Starting with this on Super Bowl logos and program design. The NFL now only uses this standard logo for the Super Bowl with just the stadium on the bottom of the Lombardi trophy changing. One of the overwhelming problems in our society (among many many others) is the complete and total absence of creativity. Reading Walter Issacson’s definitive biography about Steve Jobs, I get the sense that Jobs (like him or hate him) was an innovator, an individualist, and overall the Thomas Edison of our time. But what if he had been average, making generic, rather than cutting edge, technology? In other words, what if he followed the lead of the NFL with respect to its Super Bowl logo? One of my earliest memories of the Super Bowl was the ticket/program cover art and logo for each Super Bowl. More so than the logos, the ticket/program cover art was unique to the specific Super Bowl, and many times, unique to the host city. 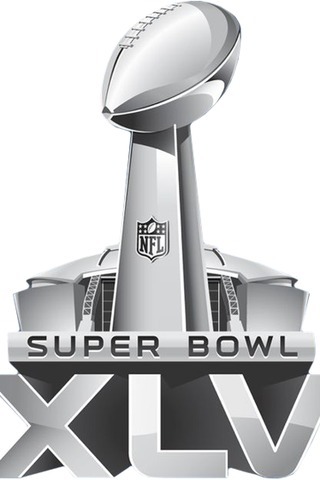 Last year, before Super Bowl XLV, the NFL announced that it was formalizing the Super Bowl logo. After sampling what I’m sure were thousands of designs, the NFL went with the least imaginative. No color, no design, no thanks. The program cover art, starting with XLII follows a similar pattern. So, we’ll do what we always do on this website: look back to the past, but this time, at the best Super Bowl logos and cover art. XXXIII – Love the how the logo is a marquee. You get a real vintage Miami vibe. XXXVII – A crummy game but I am a sucker for the lighthouse. XXXIX – Jacksonville was a terrible host city, but working their famous bridge into the logo was cool. XXXVI – An excellent tribe to America just four months after the 9-11 attacks. XXVII – Perfectly understated featuring the three roses. XXIX – A perfect blend of old Miami, featuring a Model T in front of a hotel, tropical colors, and the Vince Lombardi Trophy towering among palm trees. XXXV – Even though my team was on the losing end of a blowout, I love the nautical theme. In addition to the Florida-host-city-standard of the Vince Lombardi trophy among palm trees, the sailboats and cloudy sky against the Tampa backdrop is nothing short of picturesque. XXVII – I love this cover for a number of reasons. First, Pasadena is my favorite host city (a complete lack of luxury boxes at the Rose Bowl ensures the Super Bowl will never return) and the colors are outstanding. The sky features four colors: midnight blue, pink, orange and yellow, perfectly symbolic of the setting California sun. These colors, along with the blimp and fireworks, capture the excited and anticipation of the Super Bowl. XVII – Pasadena again. I also like the similarities between this and XXIX. XVII features again features a marquee and the uniqueness of the colors gives the Vince Lombardi trophy a blue color. XVIII – What can I say? I’m a sucker for animals. Honorable Mention: XXV – This is very similar to VI. It features the helmets of all the past Super Bowl winners, and a ton of vintage memorabilia for the silver anniversary Super Bowl. A nice tribute to Pete Rozelle, and the American flag is a subtle reminder of the nation’s involvement in the first Gulf War. Will we ever see these designs again? Not unless the NFL has a stroke of nostalgia.